If you want effective solutions for your business writing and projects, you’ve come to the right place. Juggling all the tasks and having all the skills required to be successful in business is tricky. If you need help with business writing, copy writing, project management, business improvement, research, or any of the myriad of tasks that are necessary for great outcomes, we can help you. There’s heaps of information about what we do and how we do it in our Capability Statement, available for you to download. In it, you can read about some of our recent work which includes writing winning project applications worth more than $16M, just in the last six months. 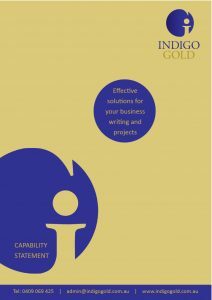 The Indigo Gold team understands what is important to you and your clients, and will work with you to get the best possible result. We take the stress away, and at the same time, you’ll enjoy working with passionate, professional people who know how different industries work, have significant regional networks and have a history of success. 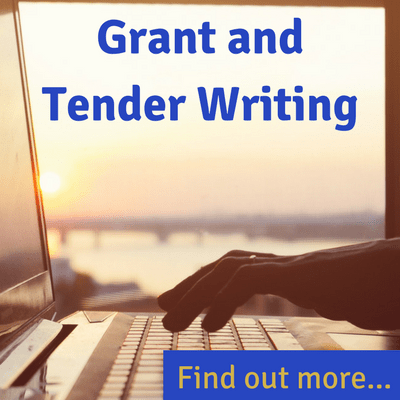 We produce two detailed grant lists each month for Queensland businesses and organisations. Our FREE General Grants List which includes all the grants greater than $10,000 can be downloaded by clicking below. Want to receive it each month? Subscribe at the bottom of this page. Small Grant Snippets is a subscription-only list, specially designed for non-profits and organisations. It lists grants $10,000 and under and saves you many hours searching for relevant grants. Want to subscribe or find out more? To keep you informed we let you know about recently-released reports and information via our Blog and News. You’ll be working with people who understand what you need and can offer affordable and relevant solutions. We help new and existing businesses and organisations – most of them in Queensland. We also enjoy working with clients in other states, especially those in regional areas as our team members have lots of experience with smaller communities. the unique client relationship which helped to make project a success. Don’t forget to check out the regular posts under the ‘Blog’ and ‘News’ tabs. We regularly provide links to relevant reports, forums, grant and tender updates and heaps of other information to make your life a little easier. If success is important to you, contact us now. You will be delighted with our professional service that will exceed your expectations.